Stunningly beautiful 3D medical animations! The Nucleus team of graduate-degreed medical animators, writers, and designers specializes in creating accurate, cinematic 3D medical animations for patient and professional education. via Nucleus Demo Reel 2013 – YouTube. The insertion of one gene can muzzle the extra copy of chromosome 21 that causes Down’s syndrome, according to a study published today in Nature1. The method could help researchers to identify the cellular pathways behind the disorder’s symptoms, and to design targeted treatments. 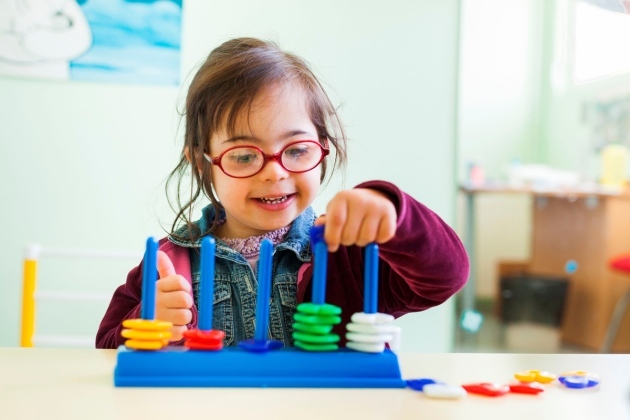 via Researchers turn off Down’s syndrome genes : Nature News & Comment. We really are a mutant race. Our genomes are strewn with millions of rare gene variations, the result of the very fast, very recent population growth of the human species. From an estimated 5 million individuals just 10,000 years ago, we ballooned to more than 7 billion. On average, every duplication of the human genome includes 100 new errors, so all that reproducing gave our DNA many opportunities to accumulate mutations. But evolution hasn’t had enough time to weed out the dangerous ones: gene variants that might make us prone to illness, or simply less likely to survive. via Most Mutations in the Human Genome are Recent and Probably Harmful | DiscoverMagazine.com. Retrovirus Replication 3D Animation – YouTube. Stem cells at the base of finger and toenails act as coordinating centers to orchestrate communication between the nail, bone, and nerve tissues necessary to promote mouse fingertip regeneration after amputation, according to new research published today (June 13) in Nature. Researchers found that nail stem cells use a signaling pathway important for embryonic limb development to help nerves and new nail and bone cells coordinate signaling during tissue regeneration, providing insight that may enable future stem cell therapies. “It’s a marvelous study” that described the molecular and cellular processes contributing to mammalian regeneration, said Hans-Georg Simon, a developmental biologist at Northwestern University who did not participate in the study. The findings show that the molecular program governing mammalian regeneration resembles that already seen in amphibians—suggesting a conserved regeneration program that could be harnessed in other tissues, he added. via Nailing Regeneration | The Scientist Magazine®. This wonderful 3D medical animation of a baby’s birth shows a time lapse view of labor and delivery during normal vaginal birth in a simplified form with only the mother’s skeletal structures and the baby in the uterus. Also shown in detail is dilatation (dilation or dilating) and effacement (thinning) of the cervix during childbirth contractions.Vaginal Birth (Childbirth) – YouTube. Researchers from the University of Copenhagen and the National Institutes of Health have obtained ground-breaking new knowledge about proteases – important enzymes which, among other things, play a role in the development of cancer cells. The findings may be significant for the development of cancer drugs, and have just been published in Journal of Biological Chemistry. Cancer cells can exploit an over-production of proteases to force their way into the body.